Orion Nebula: First light image with the Pathfinder telescope, 2013 December 23. The ATLAS project is now live on Mauna Loa, Hawaii Island, automatically scanning the sky with a prototype camera and telescope, and sending the data back to Honolulu. 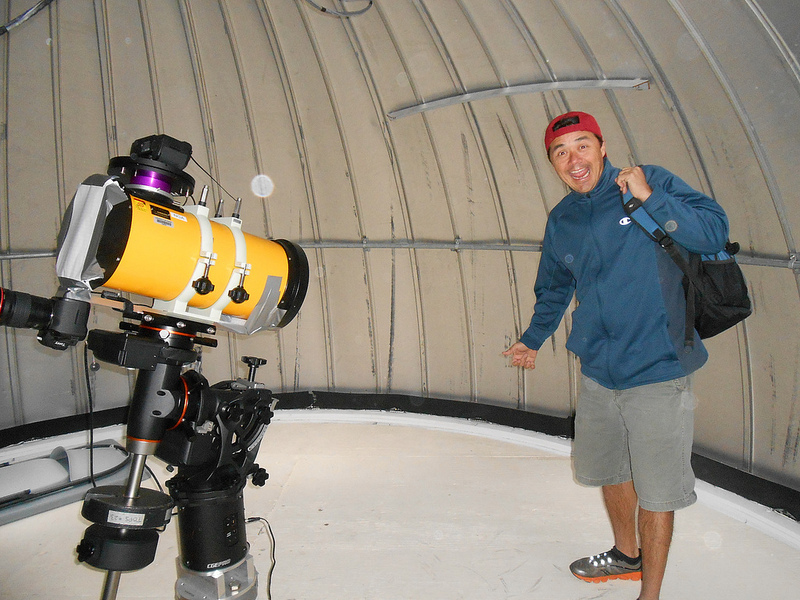 PATHFINDER: On December 11-12, we successfully mounted the smaller Pathfinder telescope and detector in an existing dome on the slopes of Mauna Loa at the 11,000-foot level. 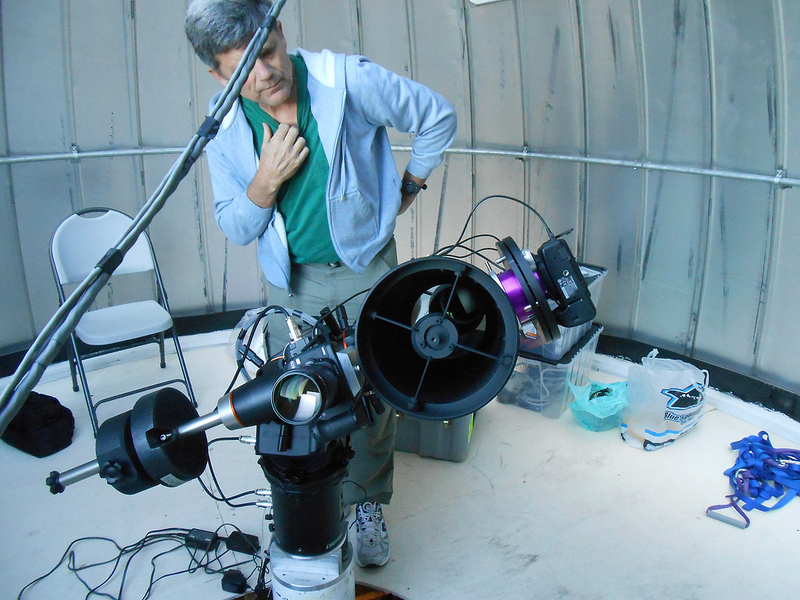 The aim was to test ATLAS software using live data in a real location, and to enable control of the telescope robotically from the UH Institute for Astronomy in Manoa. 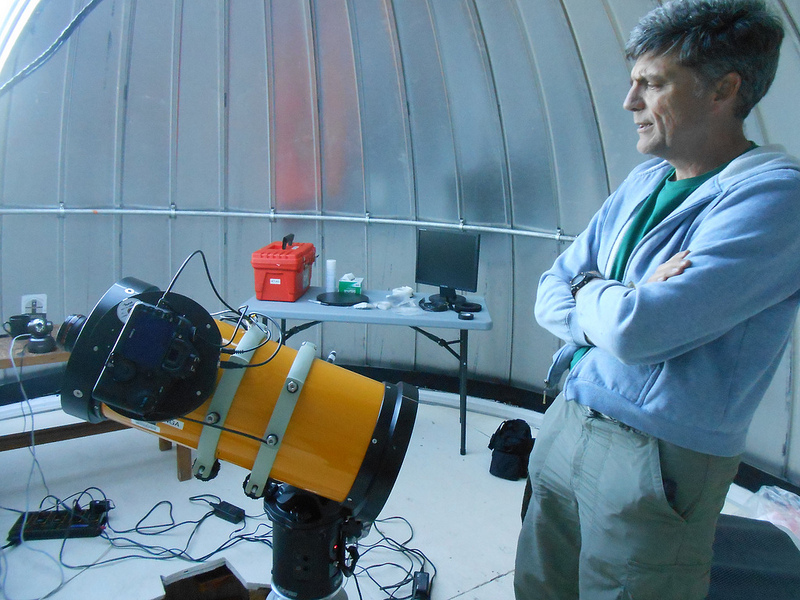 On December 23, we observed our first asteroids in a single 30-second exposure: Borispetrov, Byron, and Harryford. This data is exceedingly preliminary, but the success of this trial run has made us confident that Pathfinder will be fully operational in searching for asteroids by early 2014. We are on our way! 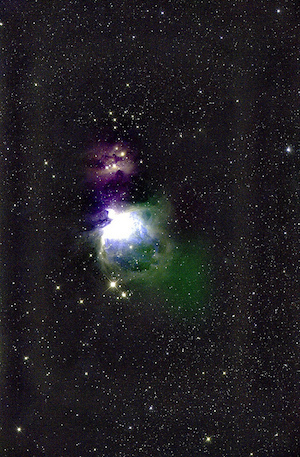 SOFTWARE: ATLAS software engineers have created programs to operate the existing dome and the telescope remotely. Between now and the next update at the end of March, we expect to be collecting and reducing data, and detecting asteroids and many other celestial objects. TELESCOPE: DFM Engineering has purchased the glass for the telescope mirrors and lenses, and has fabricated a number of tools and templates. Construction of the two ATLAS telescopes is moving along on schedule. SITE & ENCLOSURE: Our request for quotes should enable us to make a decision on enclosures and telescope mounts within the next weeks. CAMERA: We have responses to a request for proposal for camera components: controller, detectors, and engineering services. PERSONNEL: Robert Jedicke has stepped down to pursue other projects. He has been an enormous asset to the ATLAS project, and we hope to reengage with him once the dust from construction has settled. We expect to hire a post-doc in 2014. ATLAS Senior Software Engineer Larry Denneau. ATLAS Principal Investigator John Tonry.